RFID disc PVC tag is laminated with PVC, water-proof tag. The tag could be with adhesive back, this RFID tag could be mounted on nonmetallic surface. And because of our Direct Bonding technology the surface would more flatter that could have great printing performance. Silk screen and Offset printings are available upon request.The material could be transparent PVC and white PVC . 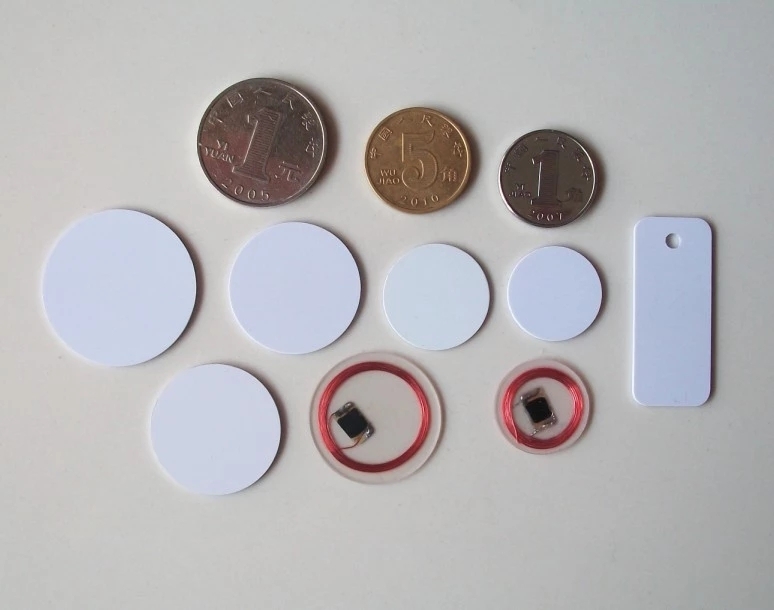 RFID PVC coin tag can be customized with 125khz or 13.56Mhz Chip..Also many available crafts:Ink-jet printing,Laser process,Chip encoding ,Anti-metal layer,3M adhesive layer,epoxy layer,etc.